Welcome to 24 Club Drive East. 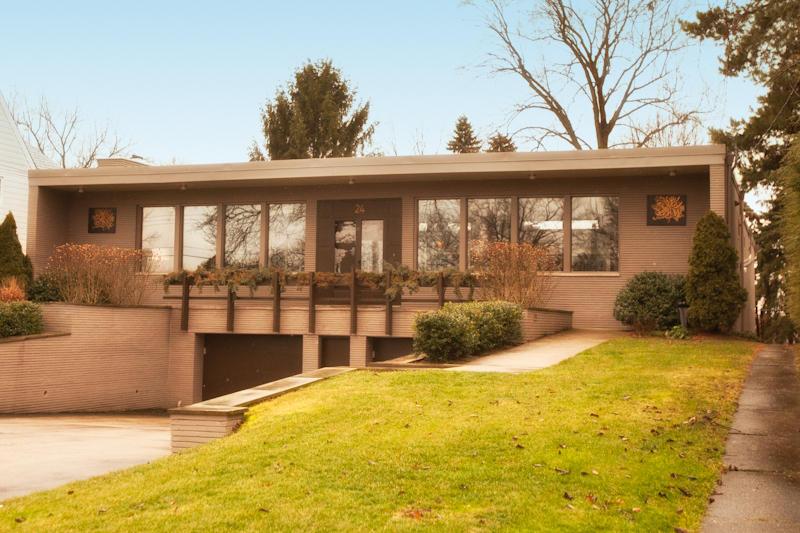 This exquisite contemporary home is situated adjacent to South Hills Country Club. Enjoy the ambiance of nature with panoramic views from 360 degrees. Pristine in every detail. Living room and formal dining room accentuated with wood burning fireplace, views of the interior courtyard. Gourmet kitchen with walnut cabinetry and butler’s pantry. Wet bar. Four bedrooms including the master suite complete with two baths ala carrera glass. The perfect home for entertaining.